Bullock’s past comes back to haunt him when he and Gordon investigate two murders at Sirens. Meanwhile, Bruce and Alfred explore the tunnels beneath the city, and Penguin and Nygma’s plans to escape are thwarted by the least likely of suspects. 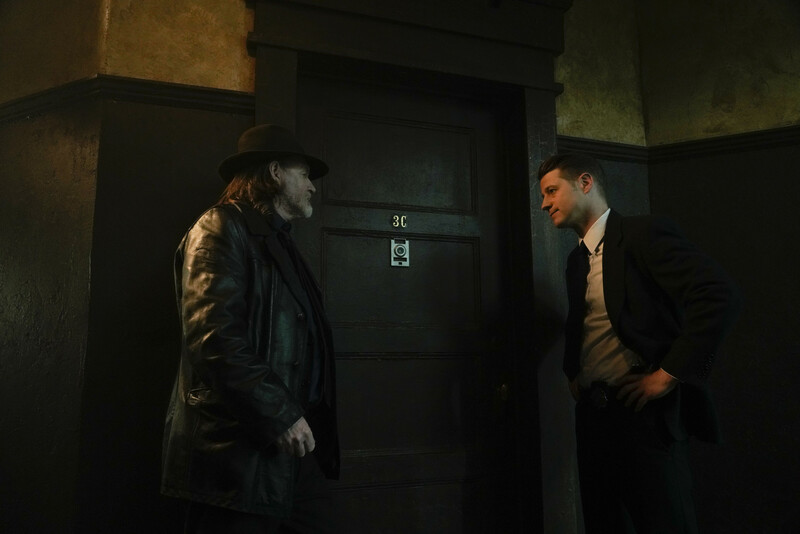 Cast: Ben McKenzie as Detective James Gordon, Donal Logue as Detective Harvey Bullock, Morena Baccarin as Dr. Leslie Thompkins, Sean Pertwee as Alfred Pennyworth, Robin Lord Taylor as Oswald Cobblepot/The Penguin, Erin Richards as Barbara Kean, David Mazouz as Bruce Wayne, Camren Bicondova as Selina Kyle/the future Catwoman, Cory Michael Smith as Edward Nygma/The Riddler, Chris Chalk as Lucius Fox. Air Date: Thursday, Feb. 28 (8:00-9:00 PM ET/PT) on FOX.